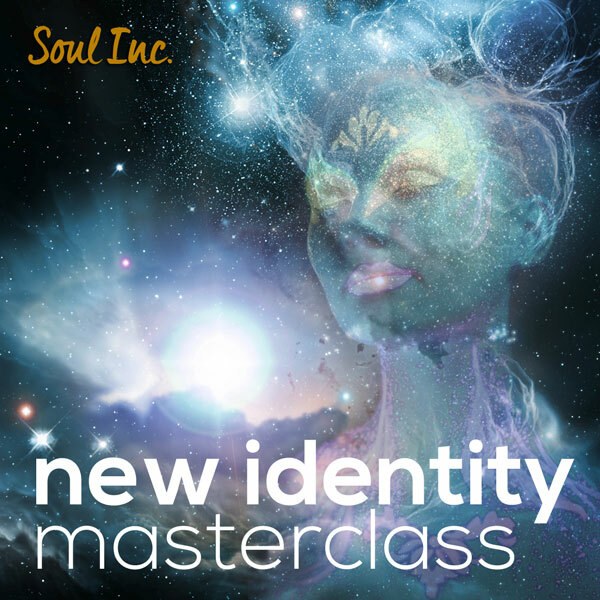 New Identity - Free Channeled Masterclass - Soul Inc. I love, love, love the New Identity Master Class. This is so much more than a typical guided meditation: it really helped me to dig deep and get clarity on valuable things that I need to step up into my greatness. I’ve listened to it four times so far, and I’ve gotten valuable insight each time, including at least a full page of notes each time I listened. I plan to listen to it again, each time I feel like I’m in a place of upleveling in my business and life. Each time I listened, it helped me to get a clear picture of how I wanted to feel and what things I needed to do to step up into this new version of myself. Each time I listened, I felt that I was in a state of transition and growth, and this Master Class gave me the clarity on where I was headed and what I needed to do to facilitate this growth. I’ve mentioned it at least twice on my podcast, and I highly recommend you give it a try! Know anyone who might like this too?